Mega Fortris Australia offer a range of tamper evident products and services, including high security key rings, labels, bags and security seals. 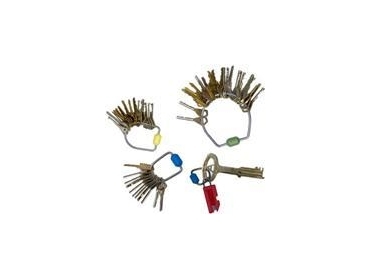 Mega Fortris Australia’s security key rings are made from a range of flexible and hardened stainless steel materials. These key rings are individually numbered for protection. Mega Fortris Australia also stock a range of one time use plastic cash bags and reusable PVC security sealed cash and valuable bags, suitable for issuing and securing emergency access keys.